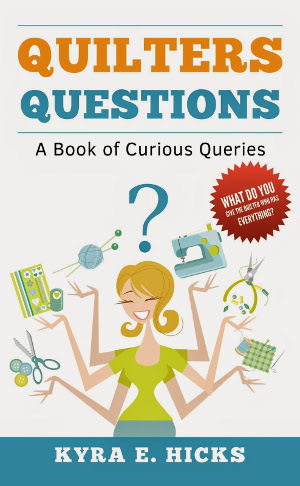 We were pleasantly surprised to find Coffee Creek Quilters featured in a new book titled Quilters Questions: A book of Curious Queries. This book includes open-ended questions that probe feelings and opinions about quilting related topics such as quilter identity, motivation, sewing friends, quilt designs, etc. If you could host a quilting party with three famous people — living or late — who would be included? Why? 299. Have you ever donated quilting fabrics or books to a prison quilting program? 300. Since 2002, the Coffee Creek Quilters have taught quilting classes to incarcerated women at a correctional facility in Wilsonville, Oregon. They even offer a 14-page guide from their website on how to start such a program. Have you ever volunteered to teach quilting at a local prison or correctional facility? Quilters Questions was written by Kyra Hicks and is available from Amazon and other booksellers. The Coffee Creek Quilters program is featured this month in two national quilting magazines, providing a peak inside the classroom at Coffee Creek Correctional Facility. “Changing Women’s Lives in Prison” by Kathy Kerler appears in the August 2014 edition of The Quilt Life, a bimonthly publication of American Quilters Society. It’s available at newsstands or via the AQS website. “Coffee Creek Quilters: Freedom Behind Bars” by Nancy Hill was published in the August/September 2014 edition of The Quilter. You can purchase The Quilter at newsstands or via their website. Thirty of the sixty kids attending a special summer camp for grieving children will receive quilts this summer made by CCQ members. 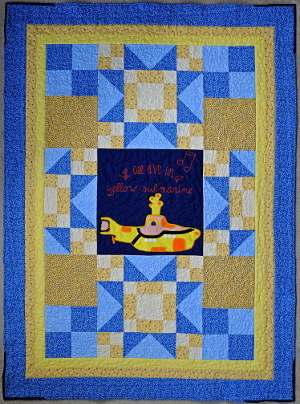 We made the quilts for Camp Erin, where young people learn to grieve and heal following the death of a loved one. Camp Erin is a national program funded by the Moyer Foundation. Camps are held in 45 locations in the U.S. and Canada. The camp is free for kids aged 6 to 17; funding comes from the Moyer Foundation and local groups. Oregon’s Camp Erin is administered by the Providence Foundation and takes place this year at Camp Kuratli in Boring, OR, August 15-17.